Custom made HDPE TANKS Melbourne Vic. 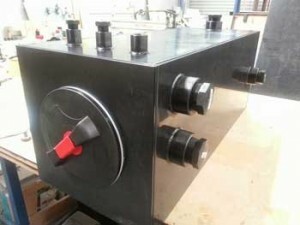 IPS Plastic Fabricate the custom tank you need, whether it be out of HDPE or Polypropylene or PVC. Call us or drop in and we will help you with the design process to help achieve the best possible tank to suit your needs. IPS are proud help with the design & are able to work from your own drawings or sketches including file types such as DXF or EPS. We can machine custom fittings upon request such as 2″ or 3″ BSP fittings as en example to suit your custom tank. All tanks are Cnc Routed and Plastic Welded in-house, so you can be assured no middle man is involved and quality is maintained by our tradespeople. 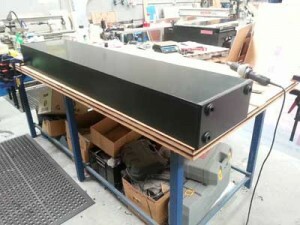 Using a new state of the art Cnc Router all components are machined accurately. 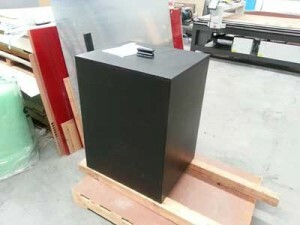 Black Water Holding Tanks are our specialty as well as Water Holing Tanks. Using quality High Density Polyethylene to ensure your tank will last. We are also able to Plastic Fabricate Acid Drip Trays from the tough chemically resistant Material known as Polypropylene. HDPE Tanks can be made from UV stabilised Black HDPE for outdoor use, or Natural HDPE for when you require food grade properties and the Tank is to be used indoors. Please do not hesitate to call us for a free quote on (03) 9798 1153.